Children's Specialized Hospital is the first pediatric rehabilitation hospital in the country using VGo, a robot that allows physicians to interact with their patients at any hour of the day without physically being in the hospital. Children's Specialized Hospital is pioneering the use of VGo, an innovative technology termed a "telepresence" healthcare solution. This new technology has endless opportunities to help children with special needs and complex medical conditions that are treated at Children's Specialized Hospital, the nation's leader in pediatric rehabilitation. With VGo, a secure wireless connected device that enables a distant person to be "present" through two- way video, audio and motor driven action. VGo is 100% controlled by a person using a PC, Mac or iPad. With its integrated camera, microphones, and video display - all on a light-weight, robot style platform - VGo can run for up to 12 hours between battery charges. At PSE&G Children's Specialized Hospital, a 60-bed inpatient pediatric rehabilitation hospital in New Brunswick, doctors are using VGo to extend their reach to monitor and consult with medically fragile patients and their families at any hour of the day in the hospital. Patient satisfaction and the standard of care are increased, while reducing the overall cost of care and hospital re-admissions. "Telemedicine is transforming the way we provide health care, and we are fortunate Children's Specialized Hospital can offer this innovative tool to improve patient care and communication between health care providers and our patients and their family." said Christopher Haines, DO, FAAP, FACEP, chief medical officer, Children's Specialized Hospital. "It provides our physicians critical contact, at any time, to ensure continuity of care for children with complex conditions." 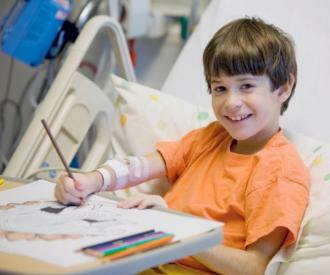 PSE&G Children's Specialized Hospital helps very medically fragile children rehabilitate after a brain injury, spinal cord injury, complications from prematurity and other life changing injury or illness. The possibilities for applications of this new technology are endless. With one currently residing within the New Brunswick based hospital, Children's Specialized hopes to expand its reach and improve access to pediatric specialists to children living in medically underserved communities. With 12 current locations across New Jersey; a patient in Egg Harbor Township can consult with a neuro-developmental pediatrician in Clifton, 250 miles away. All in real time, all on secure networks and all compliant with federal patient privacy regulations. VGo develops and markets robotic telepresence solutions for healthcare, education and the workplace. The new company was founded by experienced successful veterans of visual communications and robotics industries. Based outside of Boston in Nashua, NH, VGo is leveraging the recent trends of widespread wireless high speed networks, lower specialized component costs and the universal acceptance of video as a communications medium to invent a new class of solution that is friendly, simple, secure and affordable.